Have you ever heard of Truth in Lending Act? The main purpose of the Truth in Lending Act is to assure the meaningful disclosure of consumer credit and lease terms, including those in advertisements, so that consumers can easily compare terms and shop wisely for credit. Well, here is the Truth in Makeovering. A good $100 room makeover is hard to do and there are some secrets. TRUTH: Yes, a lot of us are pulling from a supply of items we already have on hand ….sanders, paint, and baskets oh my! When we choose to do our bathroom, we have tried to stick as close to the $100 as possible. Yes, we have used some items that we have built up over time……BUT we didn’t want to say was……here’s a $100 makeover however someone gave us a $15,000 bathtub for FREE, and include that. That wouldn’t be very realistic. The items we included, as free, are ones that are fairly basic to a DIY’er or home décor person. TRUTH: Hanging head in shame……we did end up going over our budget. We used a gift card for Christmas, but that is still money spent/part of the cost. Depending on your point we may or may not have met the challenge. We shared the breakdown below. How can you get your cost down? Look for coupons, thrift stores, ask for discounts on damaged materials you can still use, dumpster dive. TRUTH: Doing a low cost makeover can take some skills. Most DIY’ers learn skills from others, free classes, Pinterest, or reading tutorials online. Our bath might not be your cup of tea, but we wanted to share the possibilities with just a few things around your home, inspiration, a little cash, and some time. TRUTH: Yes, this does take some time. We did the challenge over the month however it wasn’t everyday. Because we did mostly cosmetic stuff, it wasn’t a ton of work. Saturday’s were our work day. Occasionally a bit more, but that’s about it. For more of our disclosure policy, you can go here. Affiliate links have been used in this post. When we last reported, there was an open “case” of “misuse” “allegations” from the LPA, Lumber Protection Association, on our rustic cabinets. We are happy to report, all charges have been dropped! The evidence showed that these cabinets would have been otherwise discarded without our so called “abusive” help. That takes our total to $37.54 + $26.00 = $63.54 leaving us with $36.46 leftover. *On the painted floors, they are very white so we will have to see how clean they will stay. If you have any particular questions or tips on it, please leave us a comment. We really didn’t care for the yellow cultured marble in the shower (and counter) but alas we had no budget to change out. Painting it is a possibility, but not enough time or money on this challenge….so cover it up it is! The idea was to put up a shower curtain. We put up a rod on this laundry room project and NO JOKE, the leftover rod was the EXACT size we needed for this. Otherwise a new one would have run $20 and up. We did need a closet rod flange set which set us back $5 (total $68.54). Since there is a glass shower door, we didn’t need anything waterproof. We looked for actual shower curtains but at the store…nothing (online much better selection). Drop cloth and material to sew our own were possibilities……UNTIL, a walk down the curtain aisle and the heavens opened up. You know with the light and all!! Well, maybe it was just a checker turning on their light for a manager….but still! Here is where the budget went over…kind of………. The panels were $23.74. If only one was needed, we would have been good in the hood. Nope, we needed two……….not…quite…long…enough. Bringing our total to $116.02. This is when we dipped into the gift card fund. AND since we were dipping, we threw caution to the wind, to finish this room by changing light switch/outlet covers and made a toilet paper holder with galvanized pipe. Born to be wild #alwaysasong!!!!! Just so you don’t think we are totally reckless, we did kept the rugs we already had, even though they are flat and matted. Finally, the room was decorated with items…you guessed it…we already had. 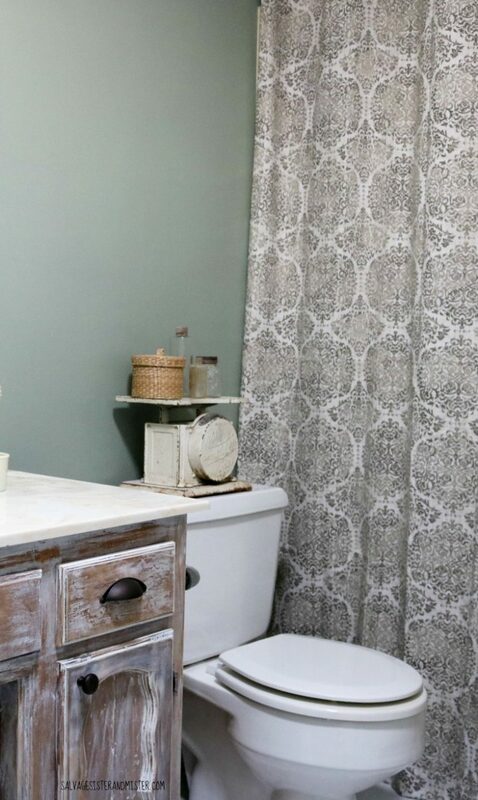 An average bathroom makeover is $11,364. Although we would have loved to thrown stick a dynamite in there and closed the door, this was a great low cost alternative…making the best with what we have. Thanks for coming along with us on this journey. Remember you can always sign up for our newsletter to get more info on how to salvage your time, money, resources and moments for your best life. If you enjoyed this salvaged, rustic, misused, industrial, farmhouse, rustic look, here are some options for you if you can’t/don’t want to DIY it. We have also provided links to just about everything we have used through out the process. Now don’t forget to check out the other room reveals. 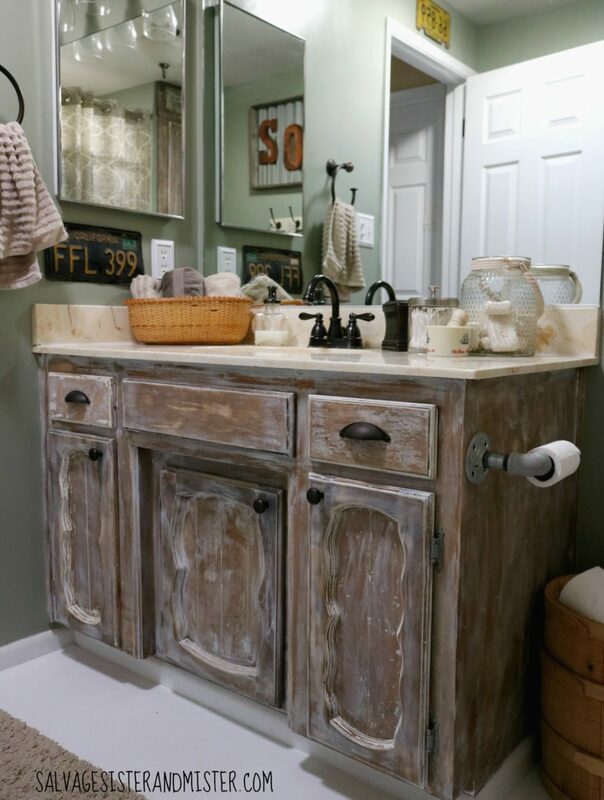 Your bathroom looks great and I love the way you make it all look rustic but cohesive at the same time. What a transformation. Thanks Patti. I am loving all the transformations. It’s pretty amazing what everyone has done. What a rock-in transformation! the cabinet are so well done! I was reading that you painted the floor white, was it concrete or wood.I missed that part! Hi Maria, It was linoleum. You can see the floor in the previous posts if you are interested. Yes! It’s really hard to do a room makeover for $100 and I also used things I had as well as a gift card. But that’s where your creativity and talented kicked in! It looks great! Thanks for being realistic! Angie, The rooms have been so great. I loved your laundry room makeover!!!!!!!!!!!!!!! Deborah, this is amazing! I think you did a great job and the fact that it was all affordable, repurposed, or shopped from your own home makes it all the better. I shopped my home too! It’s amazing what moving items around can do to revive them. 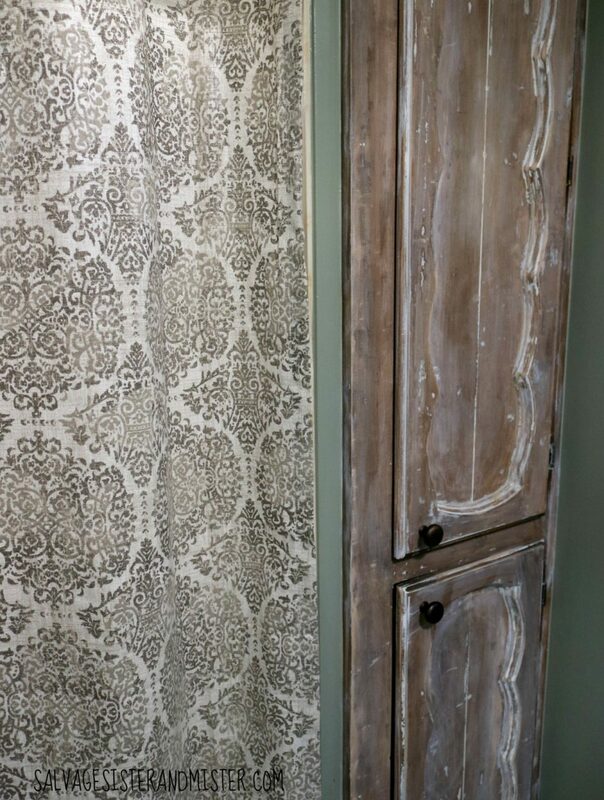 Brittany Goldwyn recently posted…Powder Room Update #4: It’s Finished! Brittany, Absolutely. It is a great way to go. I love the way the bathroom turned out. It’s ok that you went over budget. I can imagine $100 was hard to stick to for such a huge makeover. Tracy, Yeah, the $100 went pretty quick when there was so much to change:) Thanks for stopping by. Much appreciated. It’s so pretty! I love how fresh it looks too! My favorites are the pretty curtains and your wall color! Marianne, You are so so so sweet! Thanks for all you kindness and support. You have no idea how much it means! Oh it looks so amazing! Love the cabiinets! And the soap sign! And…and…and! Oh girrrrrl, that means a lot. Thank you!! I think you’re one smart cookie. You managed to make the best of that tub area with the budget you had. So unless I peek when I stop in to pee, I would never know. Well you’d be welcome here anytime!!!! 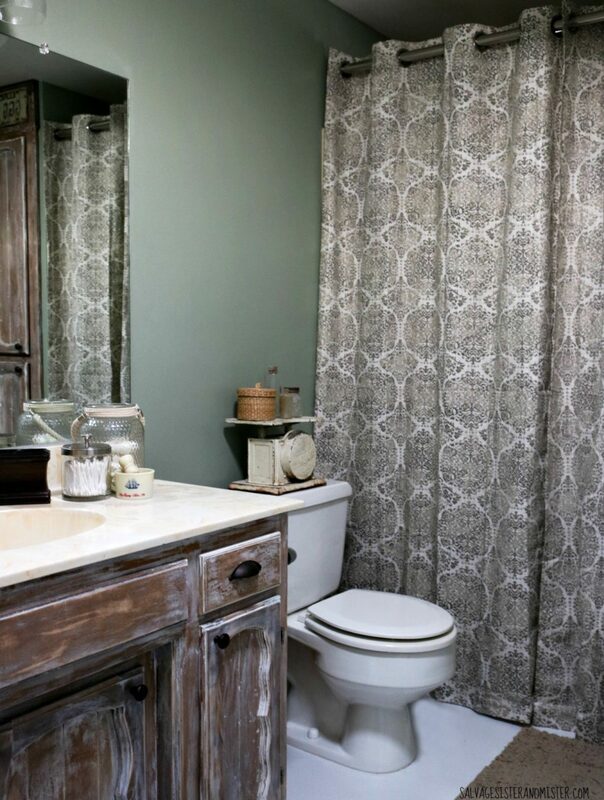 This bathroom turned out ah-mazing… even with a little more being spent with a gift card 🙂 I love the idea of covering the shower with a curtain. Such a “budget-friendly” way to deal with it. And painting the floor was brilliant! Love, love love! Thanks for joining this round. It was SO fun! The painted floor is totally my favorite! Ashley, Thanks so much. It’s def better than the yellow that’s for sure. Bathroom make overs are expensive over there! Wow! But you rocked yours in just pennies compared to the amount you mentioned. And it looks great! The white floor brightens the room! Thanks so much. It def is better than it was that’s for sure. Wow! I am pretty sure this is the makeover I’m most impressed with. Love that you hid the shower with the curtain – out of sight, outta mind. And yes, it definitely helps to have a DIY stash when doing these challenges. Great job – doesn’t even look like the same space! It’s so rustic and warm feeling now. and hey, warm is good when you get out of the shower. 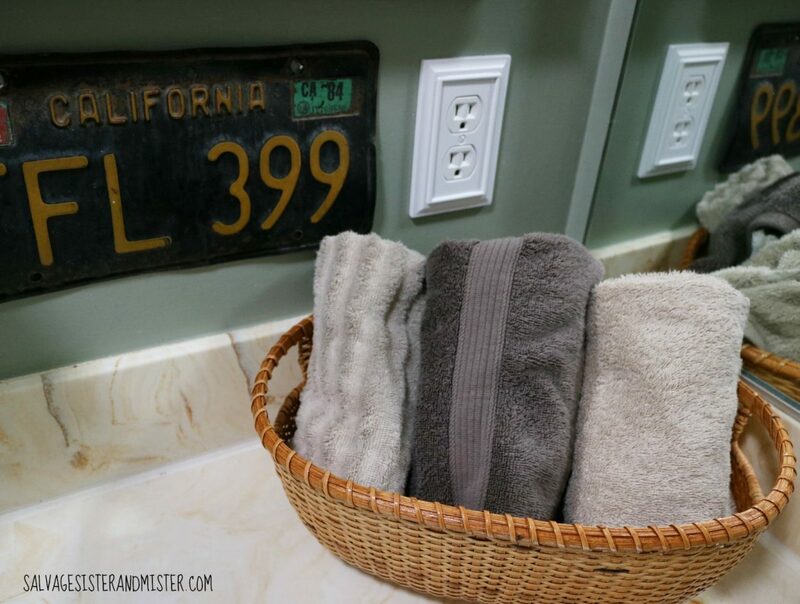 Love all you details like that vintage scale towel shelf over the “bidet”. And the shower curtain was well worth going over budget for and a lot, lot, lot cheaper than a whole new tub are. Very clever. Love it all!! Thanks Amy, we really had no where to go but up in this room. Thanks for stopping by! You did magic with that $100 budget! It’s a completely different bathroom. SO much fun and interest. Love all the details. What a great makeover! love the rustic feel to it. Don’t worry about the over-budget…It was a gift card, you have to work with what you got! And what you got was a beautiful bathroom on a very low budget!! 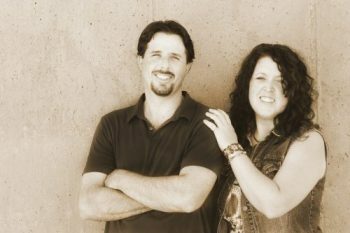 Kristen & Vicki, Thanks so much for your support. We are happy with the results and the budget. The room was awful so at least it’s not anymore. Not a total remodel but it works. I LOVE how it turned out Whether it’s someones cup of tea or not, it’s inspiring!!! Thanks girl. Its an improvement from where it was for sure. That bathroom was horrible. And we still have another one that might even be worse. You did an amazing job stretching your tight budget. $100 just doesn’t go very far anymore. That means a lot Lisa. Thanks my sweet friend. Anything was better than it was for sure. Deborah, I really like what you have done with the cabinets! I too use the curtain trick to hide horrid tile. Pale aqua and peach to be exact. 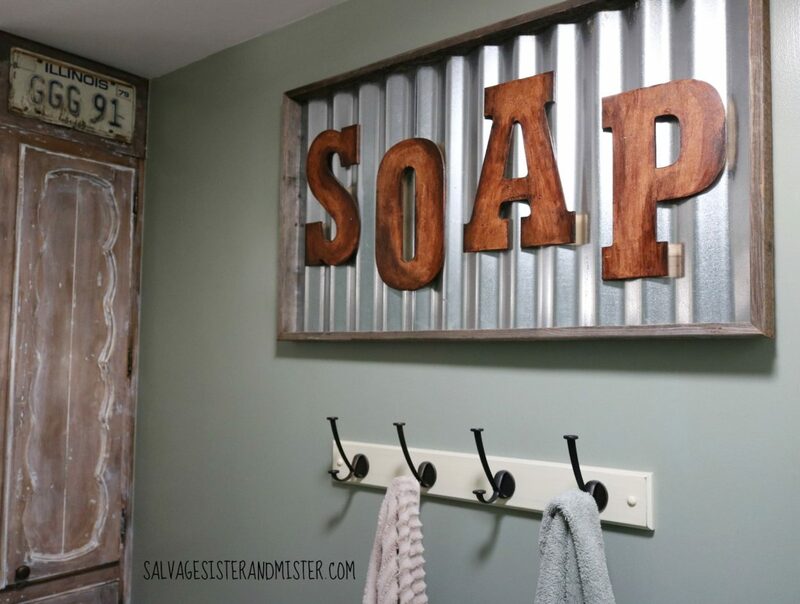 I love the galvanized sign too! Thanks so much. The Mister made that sign for me (I made the letters) and it’s one of my most fav things. Jillian, Thank you so much! I would have loved to change out that yellow but this is right up my budget so I’m happy about that. Thanks so much for your comment!!! What a difference and I love your truths in renovating! You are so right – it is really hard to truly renovate a space in such a short time on a tiny budget. You pretty much always need either time or money! Regardless, your room looks great! Carrie, Thanks so much! I’m so thankful we had some supplies to be able to do what we could with this room. Wow, you really did a big transformation on a tight budget. I like how you saved your existing cabinets instead of ripping them out and throwing them away. I want to re-do my kitchen cabinets, it is much cheaper to paint them (myself, not hiring a pro or that would cost a lot) than to replace them. Thanks for sharing your DIY project at the #HomeMattersParty this week. Nicole, Yes, we painted our kitchen cabinets and it is certainly the way to go for a tight budget or a way to conserve materials. Thanks for stopping by! This makeover turned out awesome! I love the rustice touches! Thanks so much Erin, We were happy to have anything changed from the before 🙂 Thanks for stopping by! It looks like a whole new room! I love the rustic touches and you had me cracking up a couple times! 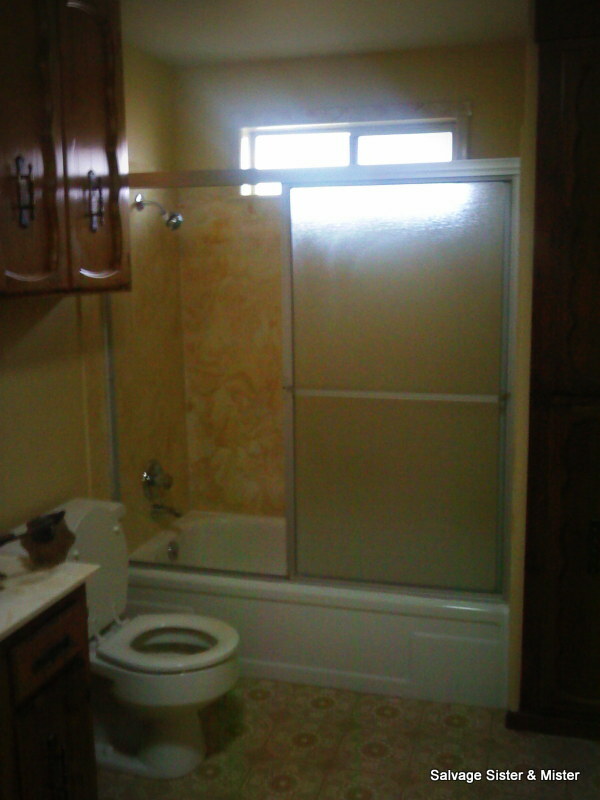 Before I saw your project I would have said that you can not do a bathroom makeover for $100 but you proved me wrong! Not only did you do it for a phenomenal price but it is AMAZING! I would never have guessed it was the same bathroom! You rock! You are so sweet. We did go over a bit (but used a gift card) but we are on a tight budget so these makeovers have to be on the cheap (esp since the whole house needed work). Wow, what a huge difference! 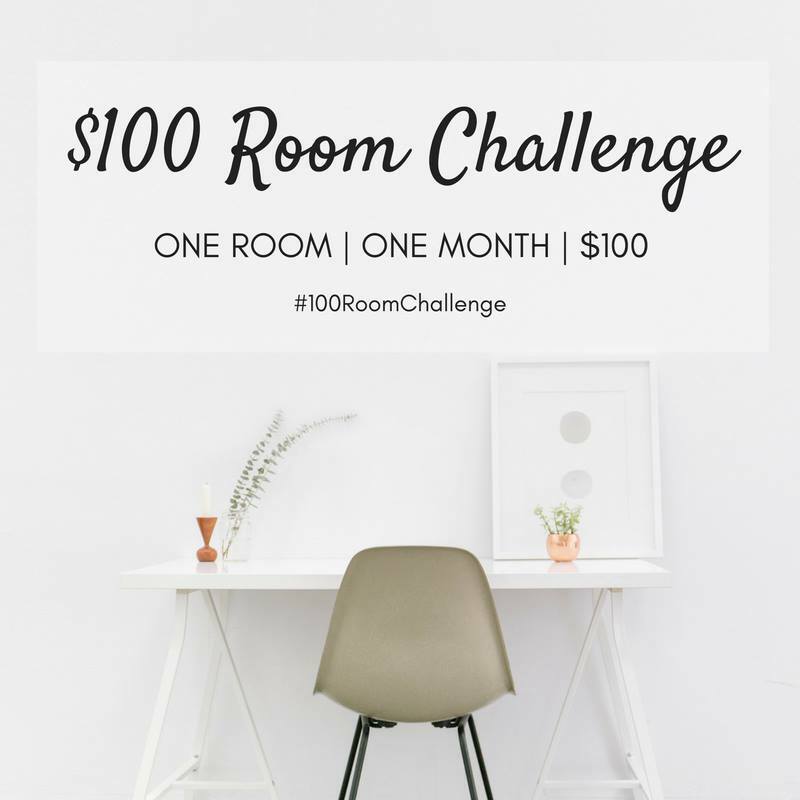 $100 room makeovers are some of my favorite posts to read about because it completely changes a space for so little money. Beautiful! Anything had to be better than it was for sure. I love a good $100 makeover too. The bathroom looks awesome and you should be proud of how well you used just $100 to make such a big difference. Okay, maybe a little over $100 but the outcome was worth it. So many great ideas in such a small space. Can’t wait to see more of your posts. Donna, Much appreciated. We are thrilled that it didn’t cost much and is better than where we started 🙂 Thanks for stopping by! Thanks so much. It was one of my favorite gifts from the Mister. Emily, Yeah obviously our tub needs to be replaced but oh well curtain cover up is the way to go:) You should totally do the challenge. There’s another round in March. Your bathroom looks twenty years newer and has a definite style. Unbelievable that you could do this for $100. Love it. Much appreciated. We would have loved to gut the whole room but it was out of the budget so this is a nice change for us for sure. Glad to be hosting with you as well. I love this curtain! It’s exactly what I’m looking for for my shower. Can you share where you found it? Rachel, We got it at Lowes. 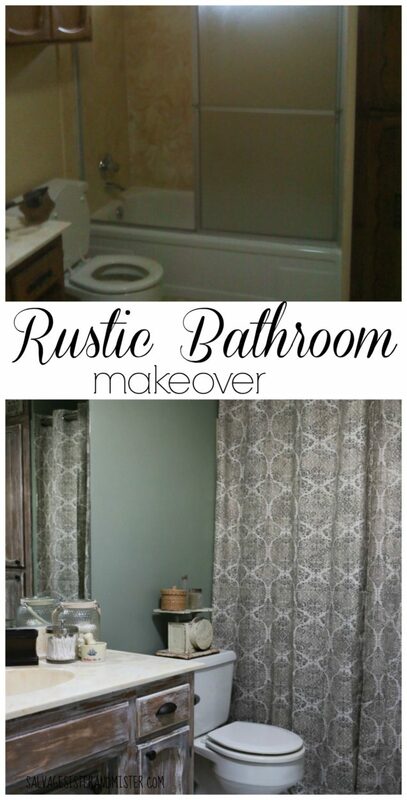 You did a great job doing that rustic makeover. And to think it only cost you not more than $100, you were amazing! Thank you for the tips and ideas. It’s very helpful to anyone wanting to make home improvements on a tight budget. I think it’s fun too. Macs, Thank you so much. It made the best with what we had.